The Year of the Dragon is upon us. We’ll look at China’s ancient astrology and its very real world modern impact on Chinese New Year. American billionaire and ukulele buff Warren Buffet doesn’t sing for just anybody, but he sang for the Year of the Dragon yesterday. Sang for Chinese New Year, to all of China. It’s a big year. The biggest in the Chinese zodiac. Americans may joke about their own astrological signs – Pisces, Virgo, Leo – but Chinese are reportedly rushing to fertility clinics to get babies born in the Year of the Dragon. It’s a piece of ancient tradition that still gets attention. 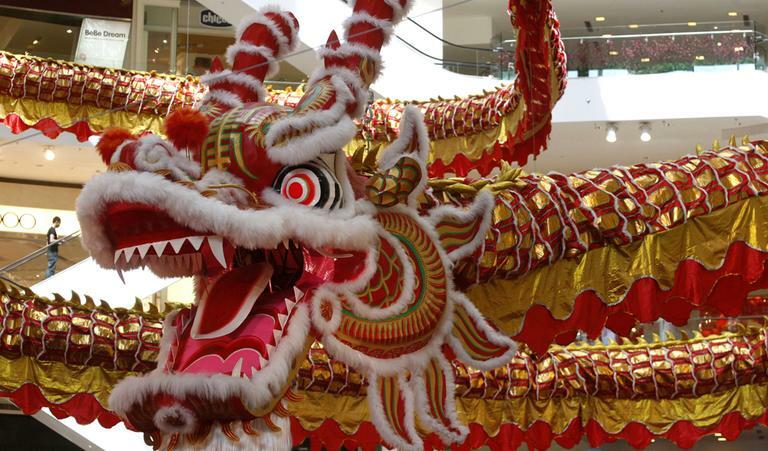 This hour, On Point: the Year of the Dragon, and how ancient Chinese astrology and traditions still do – and do not – work their way into modern life. Jonathan H. X. Lee, assistant Professor of Asian American Studies at San Francisco State University. He's the author of Encyclopedia of Asian American Folklore and Folklife. Baogang Guo, professor of Political Science and Director of the Center for International Education at Dalton State College. Gish Jen, Chinese-American novelist, author of "World and Town." Yunte Huang, professor of English literature at the University of California, Santa Barbara. The Washington Post "BEIJING — This week begins China’s annual mass pilgrimage, as hundreds of millions of people pack the trains and highways to return to their home towns for the Chinese New Year holiday known as the Spring Festival." China Daily "As we enter the Chinese New Year on Jan 23, the world's second largest economy - which grew by 9.2 percent in the last 12 months, according to the latest official figures - would be more resilient to a deepening eurozone crisis or a double-dip recession in the United States." Toronto Star "Countless Chinese dragon legends run through ancient Chinese history. Some say the dragon’s symbolic origins trace back to a mythical Chinese emperor thousands of years ago who conquered all other tribes and created the creature — with the eyes of a demon, the horns of a stag, the claws of an eagle, the neck of a snake and the tail of a scorpion." This program aired on January 23, 2012.